This issue of I.S.L.R. 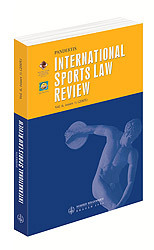 Pandektis is a special edition, including papers from the International Sports Law & Business Congress (I.S.L.B.C. ), Sept. 6-7, 2010, Istanbul, Turkey.